There have been many complaints, comments, feature requests, and posts regarding the difficulty surrounding deleting emails in Inbox by Gmail. More specifically, bulk deleting, or deleting with fewer clicks, has been a huge request of users since Inbox rolled out. 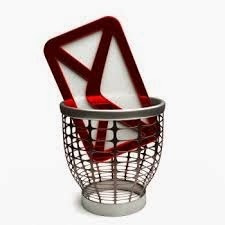 I am not one that uses deleting much, if at all, especially since switching to Inbox. However, that does not preclude me from showing you a quick, low click method, to delete many emails quickly. The process requires users to have keyboard shortcuts enabled. To enable these shortcuts, go to Settings under the three horizontal lines on the top left. Choose Other, and make sure Keyboard Shortcuts are checked off. Next, you want to use the Shift # shortcut to start deleting. This will start from the top email and keep pressing Shift # to delete. The process will start with the first email that was in focus. To make sure it is in focus, open the email and then close it. If you want to skip and email, go to the next one, open it, close it, click Shift # and the process will continue from that email. "To move the focus (the blue bar) into the Inbox message list when you start Inbox , or into a bundle you‘ve just opened, press the right arrow key, and then control its movement with the left and right arrow keys or the “j” and “k” keys. There you go, a quick low click method to delete your emails in Inbox by Gmail. Below is a video of it in action, see no clicks. Note: This tip is for Web Only, not mobile. they do and they have the ability to delete. However it was initially designed with the concept of always having access in cause one ever needed to find something again, they could by searching their inbox. But if you delete, you will never be able to find it again. I haven't deleted anything since switching to Inbox back in October. but many of us DO want to delete and can decide for ourselves whether we might need / want to to refer back to emails or we definitely don't and we should not need to jump through hoops to do so.